Meriden, New Hampshire is home to Joonie Land — a new WSDG-designed facility set amongst 325 acres of sprawling, wild lansdcape. 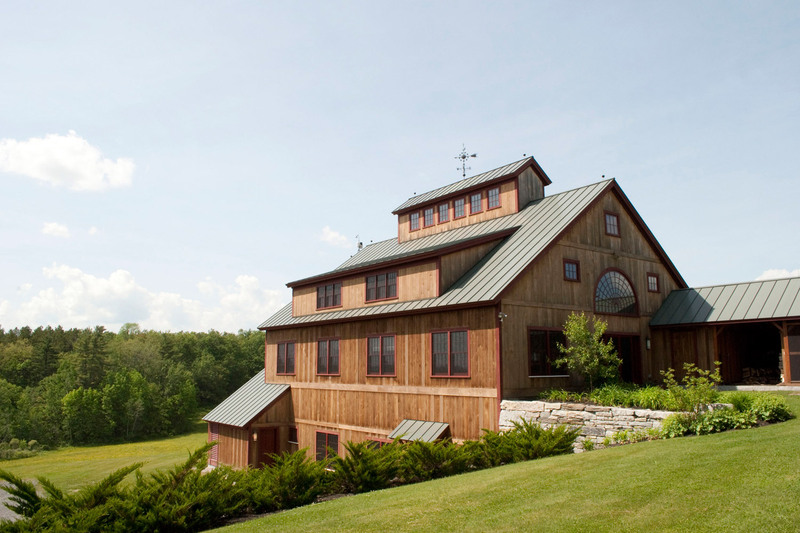 Owner Cliff Brodsky, principal of Brodsky Entertainment, found the idyllic setting amongst the White Mountains to be a beautiful and inspiring work environment. The facility, which is housed in an 11,000 square foot post and beam structure, is a multi-purpose creative environment that combines dedicated rooms for recording, performing and rehearsal. 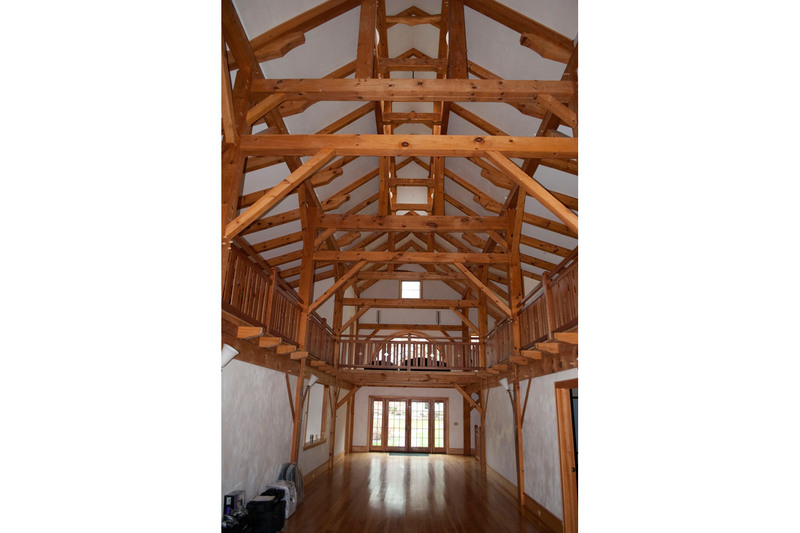 These spaces include a live room with 60′ ceilings, capable of holding no less than 500 people. Brodsky, a musician whose passion lies in identifying and developing musical talent, intends to use the massive facility to work with and develop big name acts along the lines of Coldplay, Travis and Del Amitri. Joonie Land is rich with amenities that one might find in a world-class studio — these not only include technical spaces one would expect, but also a spa, a gym, a home theatre, computer facilities and other areas. Studio A — which also serves as the main control room — is 28′ x 14′ and is centered on a Toft Audio Designs ATR B32 32 x 8 console. “This is similar to the Trident 80-8 series B board on which many Zeppelin, Eagles and other rock classics were recorded,” Brodsky comments. Brodsky, who normally mixes in the digital domain using Digital Performer, appreciates the built-in preamplifiers on the console. “The Toft has 32 channels of analog goodness, and is likely the best board in the world for the money and for what it does,” he adds. For monitoring, he relies on a pair of Adam S3X-H loudspeakers, along with an Adam Sub 10MK2. Studio B is a fully isolated, 14′ x 14′ room used primarily for video editing and features three pairs of Adam A7 monitors. “I have my Final Cut Pro rig set up in Studio B for all my video editing,” explains Brodsky. “We do a lot of feature films, documentary films and also do a lot of reality TV work.” Cat 5 panels located throughout the facility enable access multiple recording spaces. Aside from recording consoles and monitors, other notable gear at Joonie Land includes a Universal Audio 2-610 preamplifier and an Avalon VT-737SP. “The Avalon is my go-to box for everything,” Brodsky says. “It sounds great on vocals, acoustic guitar, bass and electric guitar.” In the microphone department, he favors the Neumann TLM 47 on vocals and has a full complement of other mics on hand including Shure SM 57’s, SM 58s, KMS 82s and a pair of vintage AKG 414s. Musicians working at Joonie Land will find the studio well fortified with instruments. There is a new upright Yamaha recording piano (Brodsky is a former piano instructor), a Steve Gadd Yamaha Maple Absolute Custom drum kit, a Moog Minimoog Voyager and several guitars including a 12 string Takamine, a Gibson J-200, a Gibson ES-335 and others. 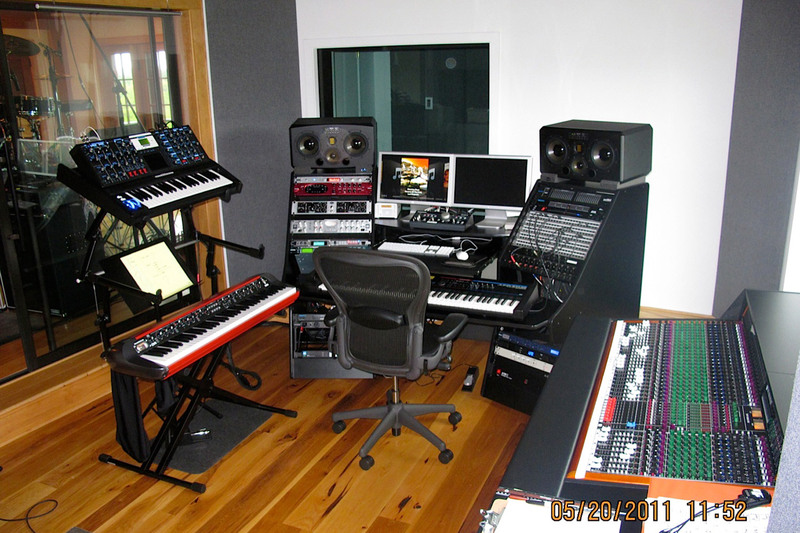 The studio also features plenty of keyboards, including a Korg SV1 vintage synthesizer, virtual software based synths and software based processing. Cliff Brodsky was aware of John Storyk’s work well before he began working on Joonie Land. “I had been working at Bob Margouleff’s Mi Casa Studio in Hollywood, which is a great John Storyk room,” he recalls. After meeting with Storyk and several other designers, he chose to work with WSDG because of the experienced team the firm was able to put together. “It was a one-stop shop and he was able to deliver a whole team of people who knew what they were doing,” says Brodsky. As soon as the room as completed and the final acoustic tweaking was done, Joonie Land held its inaugural event last month in which Brodsky flew in 11 accomplished musicians and associates from around the country for a four-song recording project. Among those in attendance were Roger Brown, President of Berklee College of Music, as well as some of Berklee’s “A-List” student artists. Brodsky, also a Berklee alumnus and among the first students to graduate in the College’s music synthesis program, took the opportunity to announce that he would be making a donation to start an endowment at the College for socially concious songwriters. ” We’re clearly off to a rousing start, and we are extremely optimistic that Joonie Land will become a meaningful source for important new artists,” says Brodsky.